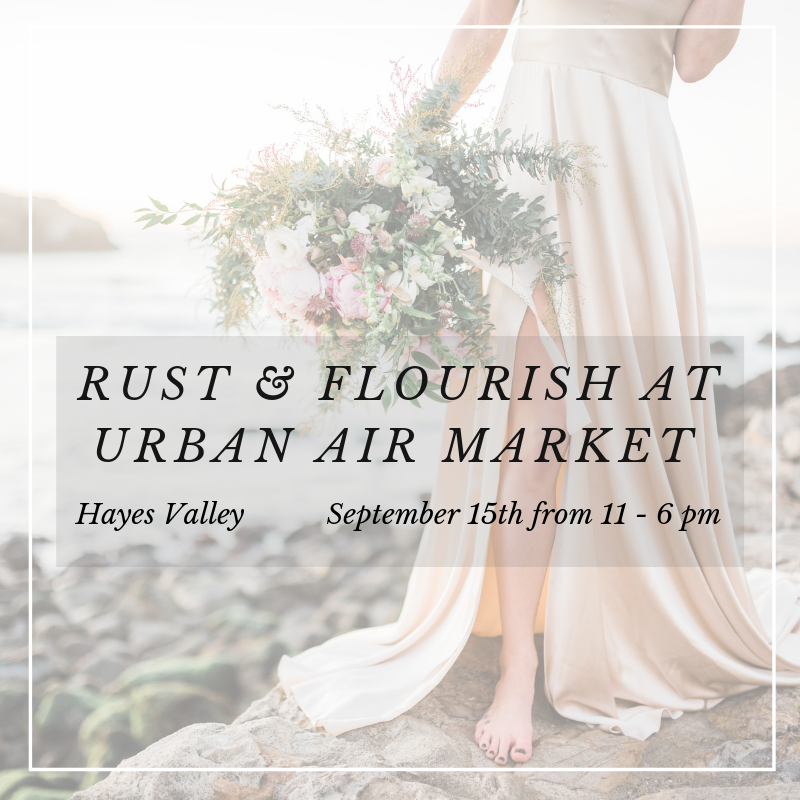 More info about our Urban Air Market here! More info about Urban Air Market here! 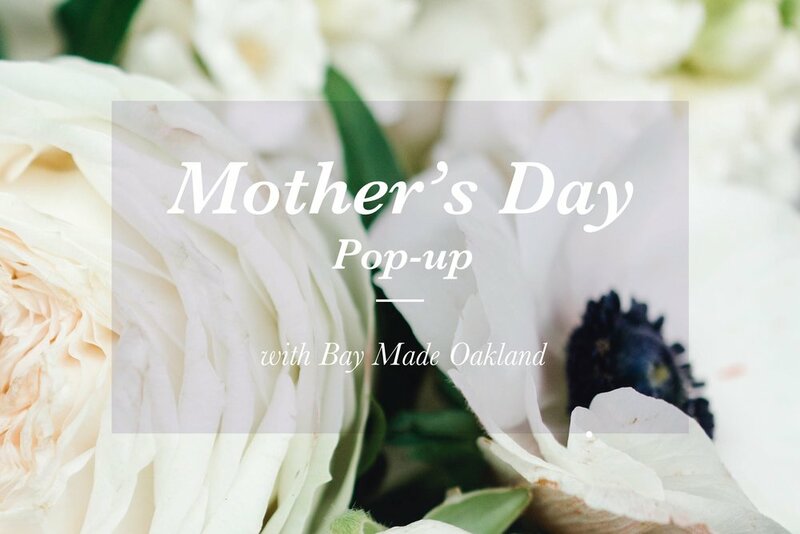 Join us in April at Bay-Made for a spring centerpiece arranging workshop! Learn how to make a whimsical flower arrangement using locally grown and in-season blooms. As it’s spring, we’ll be using lots of fragrant florals with lots of textural accents. All materials will be provided for you to make your arrangement and take them home. Stop in their shop to purchase tickets, or get tickets here! February 13th from 1pm to 7pm, or until we sell out! Can't wait to celebrate with you, see you soon! Happy (early) Valentine's Day! 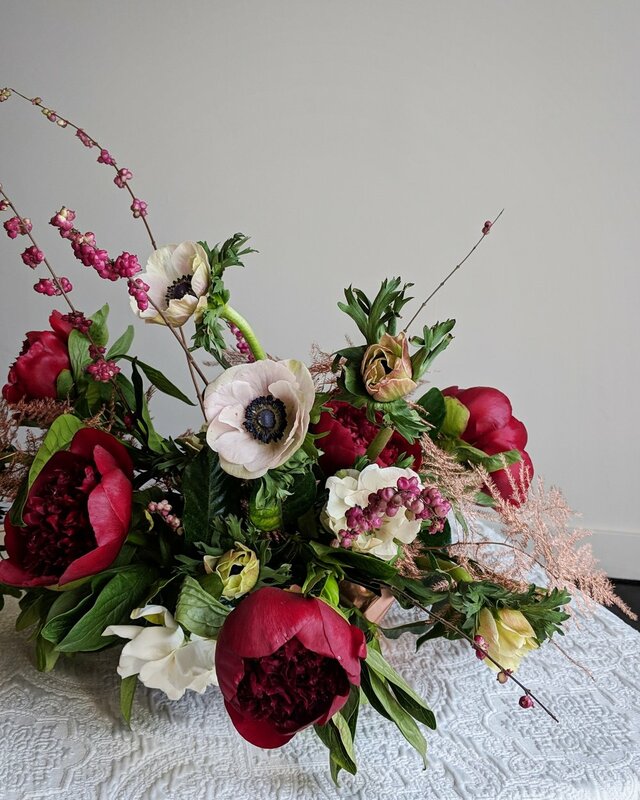 We had so much fun in our winter tablescape workshop, we hope you can join us for this festive Valentine's Day centerpiece design one as well! In this workshop, we will be creating a lovely tall arrangement, perfect for a table, or as a gift for someone you adore. If you haven't made tall arrangements, this is great opportunity to challenge yourself! We'll be working with beautiful flowering branch material, tall stems like roses and mums, and more! Plus gift bags, cocktails, and pretty bites to go with our holiday theme. I’ve posted some photos of our winter tablescape design workshop so you can see the fun! You can purchase tickets here on the Viscera website! One of my favorite things to do is find sustainable and creative uses for the flora my studio. I started making dried bouquets from the leftover blooms from my large events over the season, in an effort to ‘waste not/want not’. 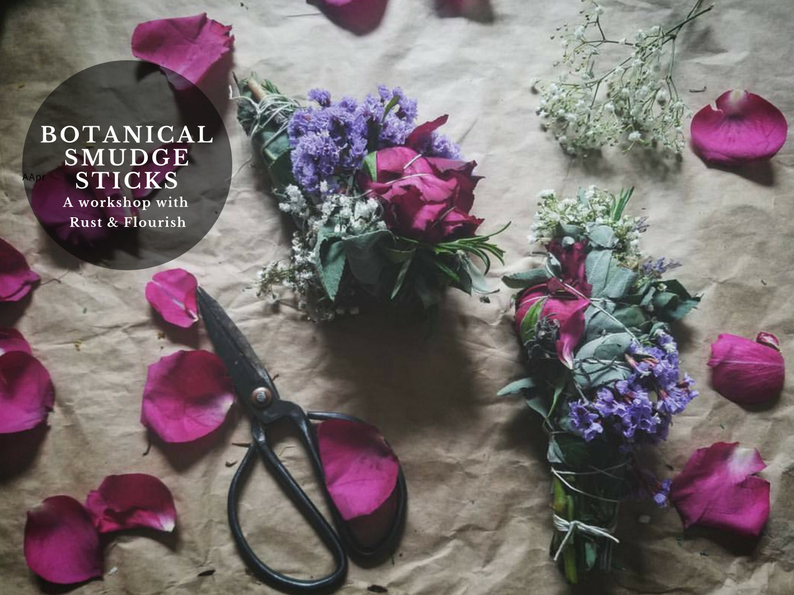 At the end of January, I’ll be hosting a small dried bouquet making class where we’ll making large dried bouquets, both out of dried elements, as well as fresh. 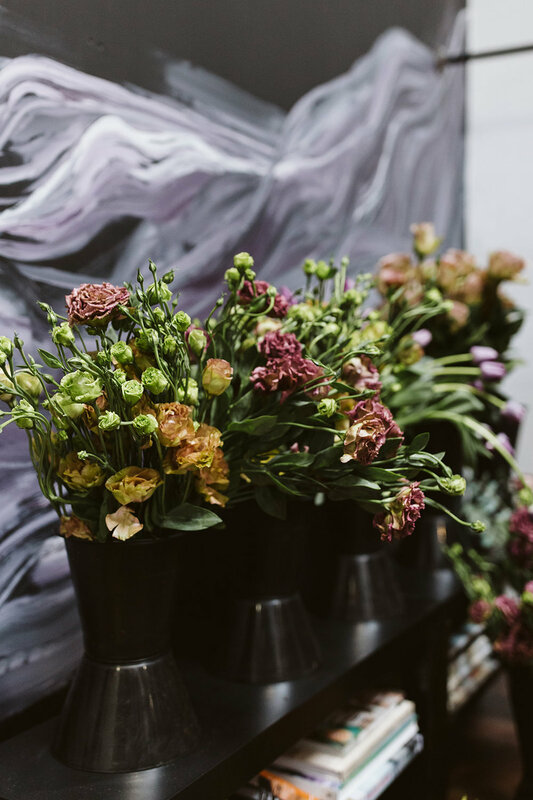 We’ll go over how to properly store and care for your bouquet during the drying process, as well as transporting it, or shipping it if you want to send your bouquet as a gift! Similar to how we do in our wreath classes, we will provide materials including greens, flowers, ribbons, and tissue, but we strongly encourage you to bring any ingredients you’ve been dying to experiment with! Some of our favorites include airplants, feathers, animal bones, skulls, gemstones, and more! We’ll have a few pairs of clippers/floral knives as well, but if you have a favorite pair, bring them along! Can't wait to celebrate with you, see you soon! We will be having our second annual Wreath bar at Macy’s Union Square with the American Conservatory Theater! The event is for all ages, leading up to the showing of A Christmas Carol in the afternoon! SAVE THE DATE for family fun, refreshments, holiday arts and crafts, caroling, and special visits from A Christmas Carol characters at Macy’s. Join us for a full day of florals and tablescape design! 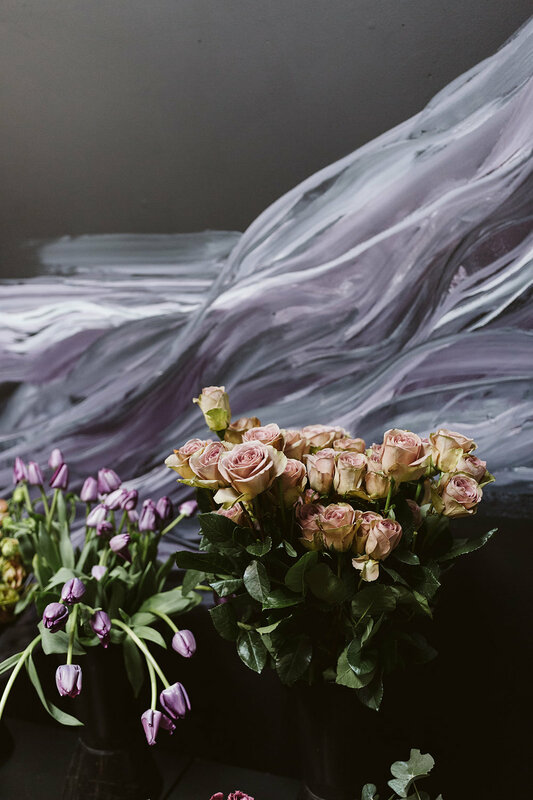 We're so excited to be hosting a full workshop, full of florals and event designing! The first part of our workshop, we will be creating a floral centerpiece for an 8ft table, using in-season and locally sourced flowers. First time designing with flowers? Not to worry! We will go through the basic elements of design, from processing, to mechanics, to color theory and placement. 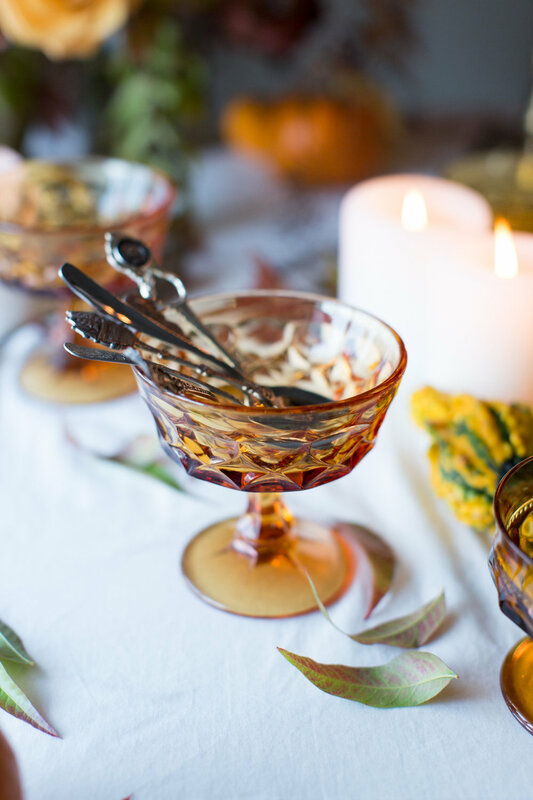 In our second half of the class, we will show you how to create a full tablescape design, using different decor items (plates, menu cards, goblets, candles, props), and how to pull things together to create a cohesive look. Afterward, we'll photograph your finished product for you to use in your portfolio. We've teamed up with some of our favorite Bay Area vendors - including gifts from Herbs + Oils Bath, Photography by Courtney Y of Photoflood Studio, stationary by The Bright Line Studio, and more - so you can show off your design skills! 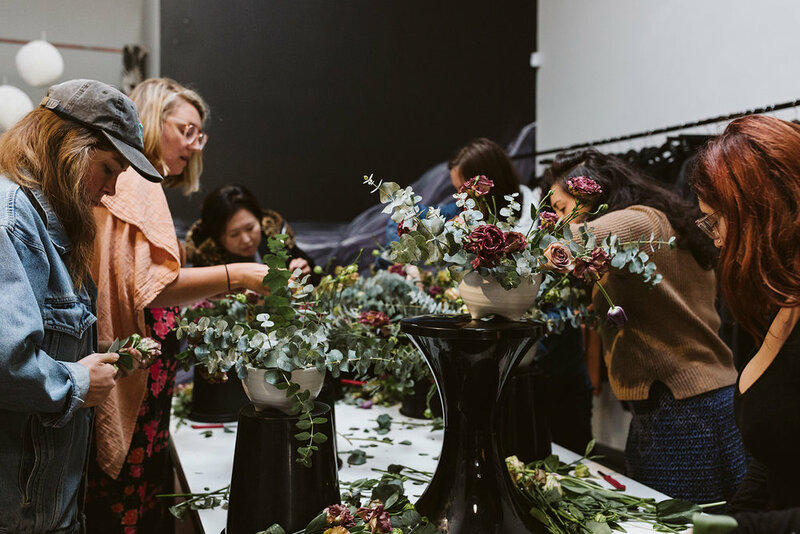 This workshop is perfect for industry pros to connect, like event planners, florists, and photographers, couples looking for wedding ideas, or anyone looking to sink their teeth into floral and event design! We also planned it to be around the holidays - as we move out of our heavy wedding season, we move into corporate and holiday party season. 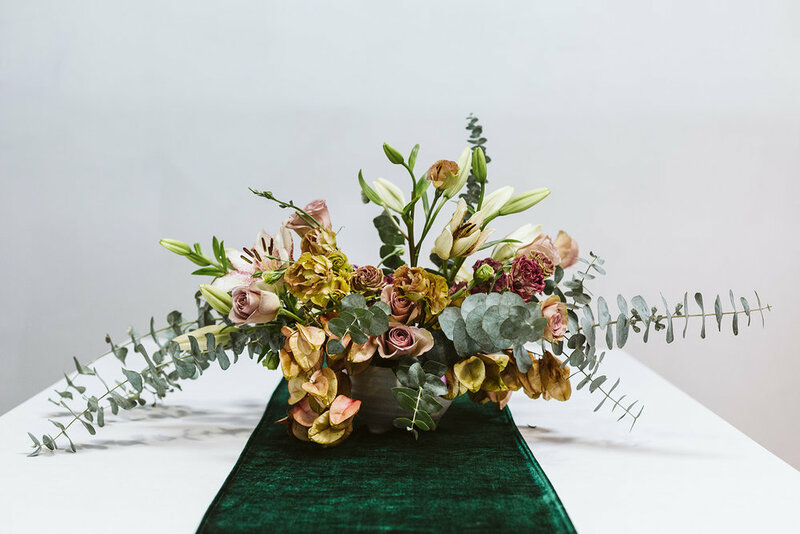 We are going to break away from the traditional winter molds of 'white/green/red', and try something completely different in our tablescape for this workshop. Moody and dramatic, with pops of fresh, crisp color. Included in the workshop: all materials provided for centerpieces, clippers, cocktails and snacks, photographs for your portfolio, as well as cute custom swag bags, full of gifts from our favorite partners! Once you RSVP, we'll send an email out with the location! We can't wait for you to join us! We’re having a booth at The Ruby SF’s Holiday Craft Fair! Come Join us!! The Ruby is hosting a pop-up holiday craft fair featuring local women and non-binary artisans! We are transforming The Ruby into a holiday market full of locally made jewelry, accessories, home goods, clothing, art, packaged, food, and other giftables! The cost of entry is $5, and includes one raffle ticket (additional tickets will be on sale at The Ruby on the day of) that enters you in a raffle to win something from one of our featured artisans. 50% of ticket proceeds will go toward The Ruby's Fellowship Fund, which will fund 10 full, year-long Ruby memberships for LGBTQ+ individuals and people of color who might not otherwise be able to afford a Ruby membership; the other 50% will go to Raphael House, a San Francisco–based organization that helps low-income families and families experiencing homelessness strengthen family bonds by achieving stable housing and financial independence. PLEASE NOTE: The Ruby is an arts & letters–focused work and gathering space for creative Bay Area women of all definitions. All are welcome to this event with RSVP (regardless of membership status or gender identity). No walk-ins, please; we will send you details about our location via email! Couldn’t make the fall workshop? No problem! Come join us for our winter class in creating unique wreaths at Bay Made Oakland! We’ll make gorgeous wreaths using both fresh and dried elements, that will last you through the holiday season. We will provide materials including greens, flowers, wire, as well as some fun things like ribbons, but we strongly encourage you to bring any ingredients you’ve been dying to experiment with! Some of our favorites include airplants, feathers, animal bones, skulls, gemstones, and more! We’ll have a few pairs of clippers/floral knives as well, but if you have a favorite pair, bring them along! Join us at Batch in San Francisco for an evening of wine tasting, crafting and fun gifting for all your holiday events. From easy hostess gifts to thoughtfully collected gift boxes, Bestowe Gifting and Gather & Serve have teamed up to put some fun back into finding thoughtful gifts for everyone on your list. We will have a wreath making class, free to the first 25 guests that RSVP (so sign up quick! ), and $25.00 for additional friends. Our good friends at Bestowe Gifting will be sharing some great advice on gift toppers/gift wrapping and ideas for giving a perfect hostess gift. Gather & Serve will have hostess tip sheet and event planning workshop to take the stress out of all your holiday events! Hanger 1 will be sampling a holiday cocktail, small bites and we will have a lovely selection of wines available for your next party! - Sage, Cedar, Lavender, Amaranth, Juniper, Cinnamon, Eucalyptus, Yarrow, and Peppermint. In this two hour class, all materials will be provided for you to make two-four smudge wands, as well as a curated selection of our gemstones that you can tie to your wand, or set in your space for burning. Jenny Lemons is a colorful, modern line of hand-painted & block printed women's clothing and home goods run by San Francisco-based artist, Jennie Lennick. Her retail store in the Mission District is a community space where she facilitates DIY workshops, produces her products, and showcases the talents of other local artists. All products offered are manufactured locally in the San Francisco Bay Area. Come join us in creating unique wreaths for Fall at Bay Made Oakland! We’ll make gorgeous wreaths using both fresh and dried elements, that will last you through the holiday season. We will provide materials including greens, flowers, wire, as well as some fun things like ribbons, but we strongly encourage you to bring any ingredients you’ve been dying to experiment with! Some of our favorites include airplants, feathers, animal bones, skulls, gemstones, and more! We’ll have a few pairs of clippers/floral knives as well, but if you have a favorite pair, bring them along! The Shops Sale is back! Join us at our new location, Anchor Public Taps in San Francisco as we pop up with a group of locally owned boutiques and designers for a super sales shopping experience. Each shop will be bringing a rack of past styles marked at a steep discount. Help us all make room for our new Fall merchandise in our shops and snag beautiful tops, dresses, jackets and more for a steal. Men's and women's items will be marked 50-80% off! This bi-annual event is not to be missed. Stop by gather in Hayes Valley for our pop-up during the Urban Air Market! We'll be slinging lots of plants and flowers, air plants, smudge, and more!! 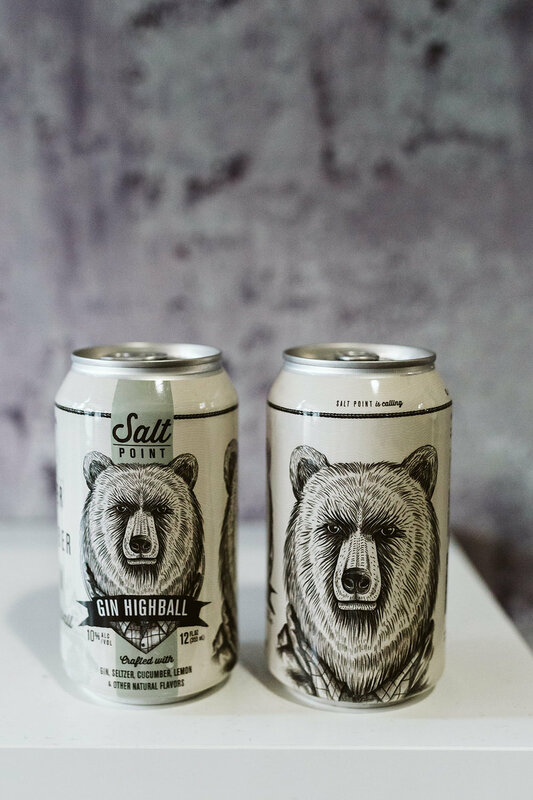 The market is from 11-6, and gather will be serving mimosas + having a surprise sale to the first customers! Check out gather here! If you want to learn more about the cool things going on at Urban Air Market, you can click this link here! Read more about the Bouquet Market here!! To learn more about Bay Made, check our their site here. Come shop the Bouquet Mini-Mart located inside Wallflower in the Mission District! We'll be there selling all kinds of goodies, so come grab some plants and flowers to bring some life into your living space. 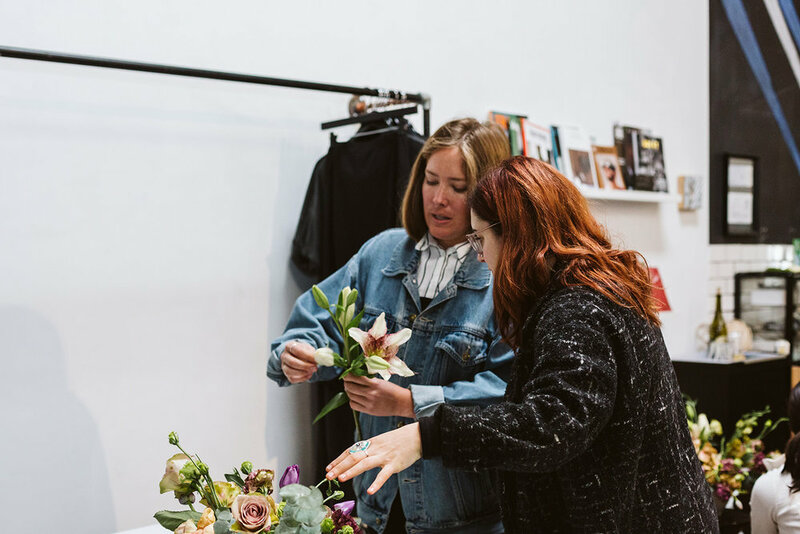 After the success of Bouquet Market last year in Berkeley’s Fourth Street neighborhood, Wallflower set out to showcase Bouquet Market brands in a more permanent way. By reinventing their decor area into a mini mart of little booths, they are giving brands the ability to display their product in their own unique way, and breathe life and community into the space. After all, Wallflower itself started out as a pop-up on Mission Street in 2014. 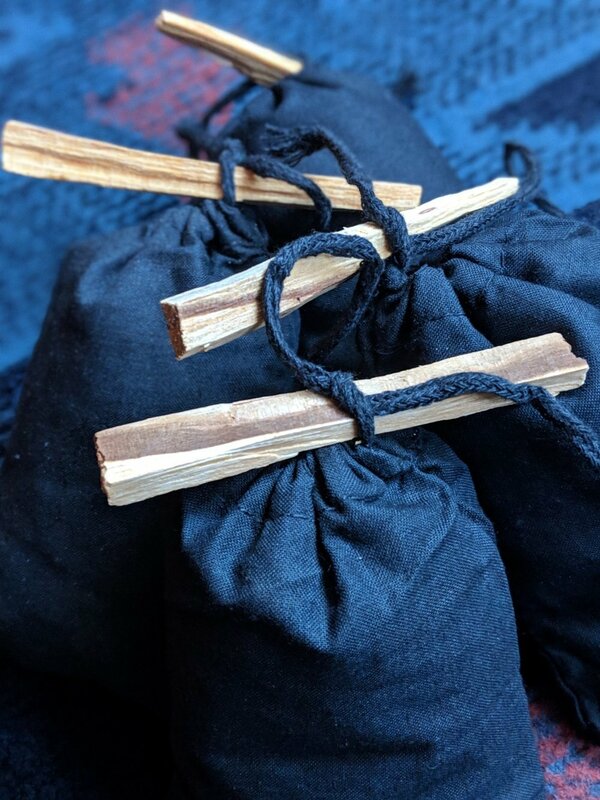 In this two hour class, all materials will be provided for you to make two smudge wands, as well as a curated selection of our gemstones that you can tie to your wand, or set in your space for burning. Plus wine and snacks, with a discount on your purchase at gather for the evening! We entwine, forage, and burn our special smudge with intention and purpose; Join us to learn about some of these healing purposes and use them for yourself! Join us on Sunday, April 8th at The Mint in San Francisco for The Big Fake Wedding, a Bridal Alternative showcase! We're proud to be a featured vendor, and would love to meet some of our future couple, or chat with our current 2018 bride & grooms! Get info on our 2018 pricing for flowers, and see examples of our bouquets, centerpieces, win some prizes, and more! Get more info for the event by clicking here!! purchase your tickets here on the Eventbrite page! The Shops Sale is back! Put on by Gather SF, join us Sunday March 11th from noon-4p at Temescal Brewing Company in Oakland as we pop up with a group of other locally owned shops for a super sales shopping experience. Each shop will be bringing a rack of past styles marked at a steep discount. Help us all make room for our new Spring merchandise in our shops and snag beautiful tops, dress, jackets and more for a steal. Men's and women's items will be marked 50-80% off! This bi-annual event is not to be missed! RSVP in Facebook and tell all your friends. What could be better than an afternoon of sales shopping and beer? Complete with food trucks, not mention that we will have a booth with our carefully curated selection of fresh plants, flowers, smudge sticks, pots, and more for you to choose from!! Click here for more event info and ticket information! Click this link to view more information on Gather's website! Create Stunning Florals & Take one home!